Redfield, S.D., could be called a small city or a big town. It has features that are the best of both. Zens, who raised her two biological children mostly in Sioux Falls before moving to Redfield, where she gained four more through marriage, said the way she and her husband are raising their younger children is much different from how she raised the older ones. “In a big city, you have many amenities, but you might not go out and enjoy those things, because you don’t quite see them in the same perspective as you do when you only have those things to do,” she said. As of the 2010 census, Redfield ranked 30th out of more than 300 South Dakota communities in population, with 2,333 people living in the community. A recent search on the Department of Labor website shows 42 open positions in town. 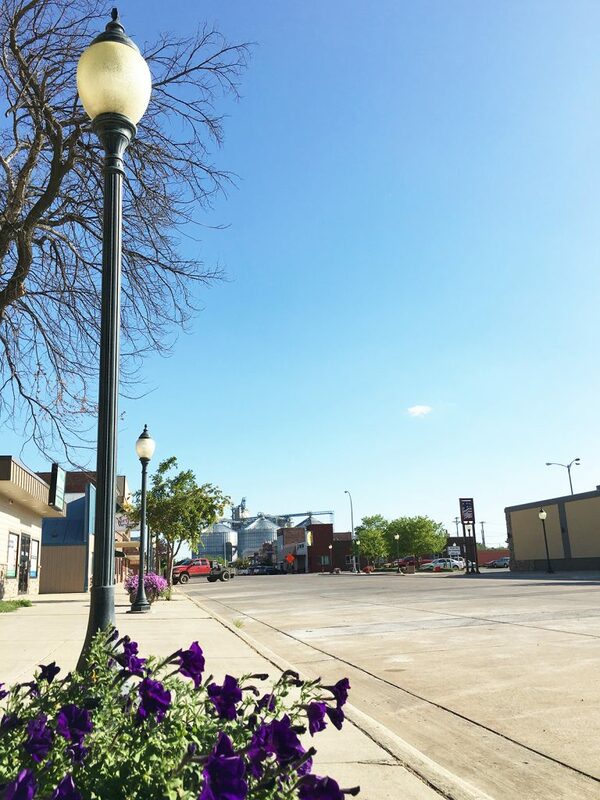 Redfield has a variety of small chain retailers and restaurants, mixed in with small “mom and pop shops” with local roots, plus entertainment options—including a drive-in movie theater and a bowling alley—not common to many smaller Midwest communities. Like most communities in South Dakota, however, Redfield’s population is on the decline, dipping from 2,518 at the 2000 census to the most recent 2,333 figure—a drop of 185 people, or 7 percent. As a result, the focus of the community’s development groups has shifted. 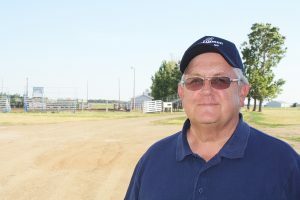 “Fifteen or 20 years ago, (development) was all about trying to bring out-of-state businesses into … our community that would bring jobs along with it, and we were always trying to bring new businesses to town,” said Shawn Chase, president of the Redfield Area Development Corporation and owner of Chase Ford. In recent years, development in Redfield has focused a lot on housing. Over the past two decades, the Redfield housing market has been actively developed by both RADC and GSI, along with help from the city. Ten single-family homes, one twin home and one four-unit building have been constructed so far in the Prairie Winds development. That development, focused on increasing the community’s higher-end housing market, was started by RADC, with help from the city, in the 1990s. Redevelopment of what once was a trailer court in the early 2000s is geared more toward moderate and low-income housing. GSI did the redevelopment on that land, and moved in two governor’s houses. RADC then took over that development, and two spec houses have since been built, with two more nearing completion in what now is known as Packard’s Addition. It’s an effort Chase said has had a “domino effect” on the local housing market. Seed money for construction came from the sale of a 10,000-square-foot building the city erected in the industrial park in the 1990s. Eventually, RADC acquired the building, the original tenant moved out, and it was rented to a series of other businesses before being sold to Wilbur-Ellis. Chase said RADC “breaks even” on the costs of materials and labor with the sale of each home. 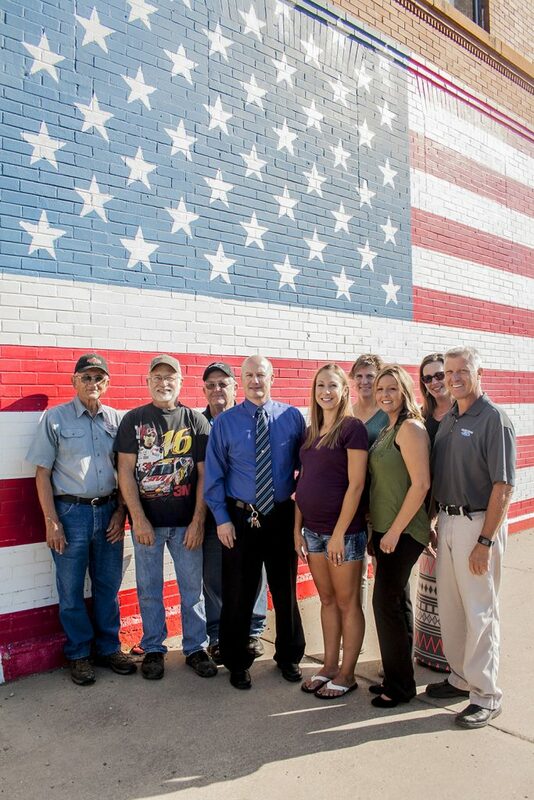 This summer, Redfield was alive with construction crews working on a Highway 212 reconstruction project through the center of town and the construction of 36 miles of the Dakota Access pipeline through Spink County—the longest stretch in any single county in the state of South Dakota. The pipeline project was anticipated to bring 1,600 workers through the area on a daily basis for about six months, and eventually will mean 10 new high-income jobs at a pump station outside Redfield for people who will be required to live in the Redfield area, according to Zens. And, while no one in the Redfield area objected publicly to the pipeline, Chase cautioned that the value of progress isn’t always measured in dollars and cents. Earlier this year, locals were “vehemently opposed” to a proposed drilling experiment in Spink County, and the project ended before it started. But, in the case of the pipeline, Chase said some accommodations should be made for the betterment of the region—and the nation. 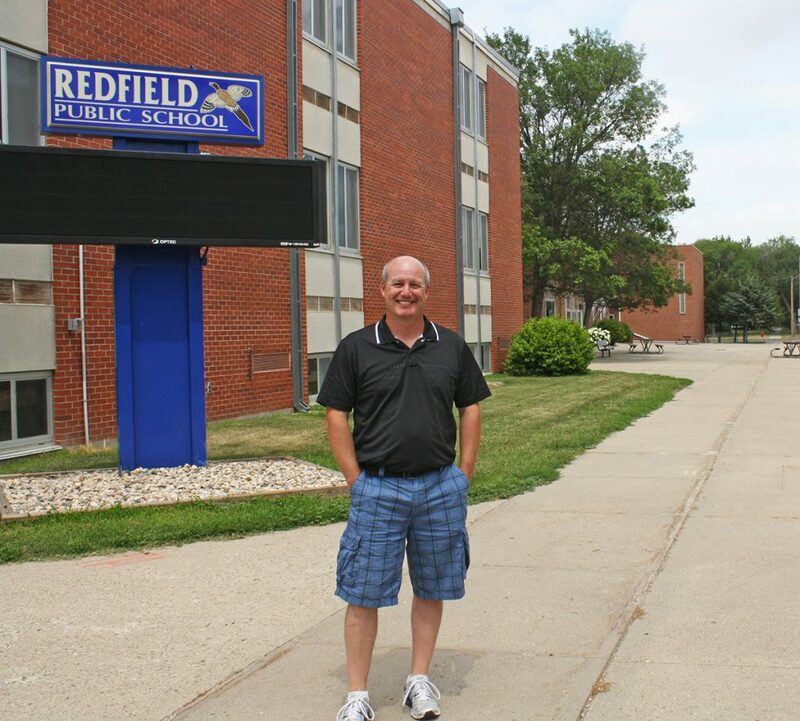 During the 2014-15 school year, the Redfield School District began a strategic planning process that is about to result in a new $23 million, single-story, single-facility K-12 campus. The remainder—$16 million—was approved in a 62-38 percent opt-out decision early this year, just three months after a core team of 30 presented plans to the public. Final plans for the project should be selected by the end of 2016, with pre-construction—the demolition of a former gas station for a new playground—beginning this fall. Last month, the city vacated two streets in order to allow room for the project be accomplished with a single one-story building, rather than several buildings in multiple blocks, as currently is the case. Construction of the junior/senior high school should start this winter, with classes transferring to the new facility sometime during the 2017-18 school year, at which time three upper-class buildings will be demolished. Then, the elementary classrooms, an auxiliary gym, and an auditorium will be constructed. The current elementary building is expected to come down in 2019. An all-school reunion is planned for next summer, allowing alumni a last look at the old facilities before they are razed. 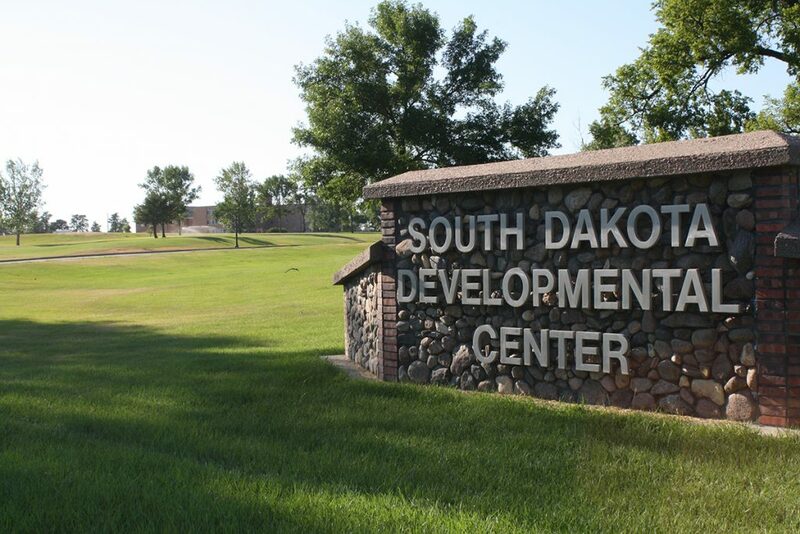 Despite controversy and declining need for one of Redfield’s largest and longest employers, officials say there are no plans to close the South Dakota Developmental Center. “Difficulty in filling entry level support positions has been a challenge across the state in human services for many years, and as a result there has been a right-sizing plan—plan to reduce the population—in place for the last several years,” said SDDC director Barb Abeln. Abeln is new to the position. She first served as interim director after the former director resigned in February after former SDDC employees presented complaints about conditions at SDDC to legislators. She was appointed director in June. The former employees alleged that conditions at SDDC are unsafe for both staff and residents. In August, legislators on the Government Operations and Audit Committee proposed a plan to survey employees to learn more about what is happening and what can be done to improve the situation. Abeln said publicity surrounding the allegations has not affected recruiting efforts. At its peak, the center served nearly 1,200 people with intellectual disabilities. Abeln said the center no longer has a record of how many employees it had then. Today, it provides 376 fulltime-equivalent jobs and serves 129 people. Locals note that the staff once numbered hundreds more. It opened in 1902, on a tract of land given by a local donor, at a time when Spink County was thriving. But a workforce shortage tied to outmigration is not the only reason that employee and patient numbers have dipped at SDDC. SDDC provides more than employment to the Redfield area. Program recipients volunteer in and are active members of the community. Facilities are lent to the broader community, too—community swimming lessons are offered at the SDDC pool, the auditorium is used by the Redfield Area Concert Association, the gym is a practice facility for school sports teams, and the staff at SDDC provide training to local teachers and daycare providers. “Even though we are on the edge of town, we are an integral component of the Redfield community,” Abeln said. 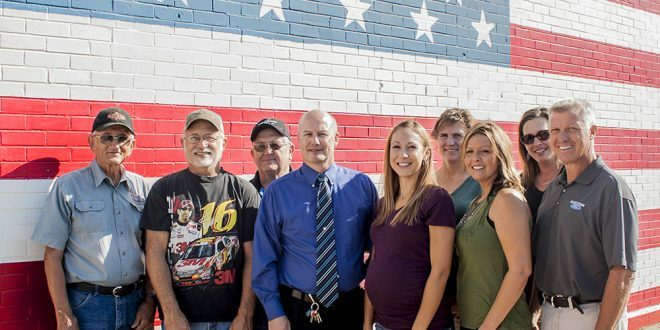 Redfield is home to a host of small franchise businesses—Hometown Shopko, Dollar General, Subway and Dairy Queen among them—that complement the local businesses. “It’s not so much ‘a community our size,’ but a community in our location” that makes vibrant commerce possible, according to Zens. “We are 45 miles from Huron or Aberdeen, so … a lot of times … we’re staying here in town” to shop and dine. 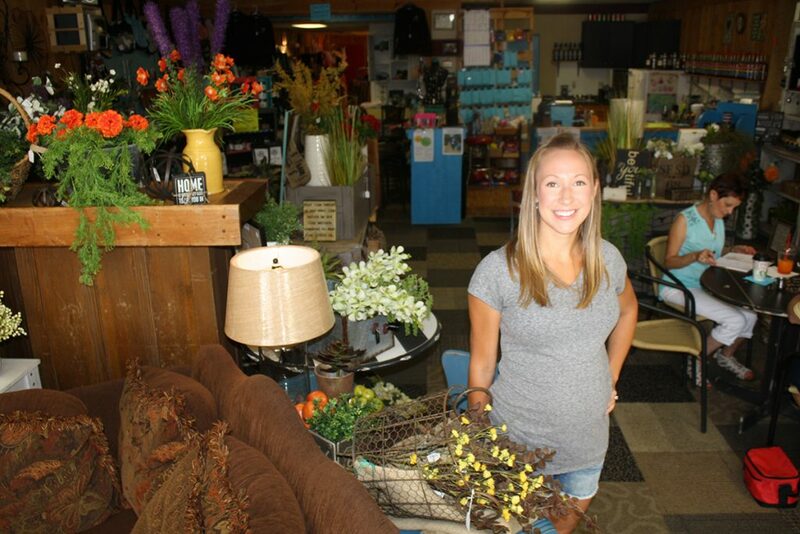 For the smaller retailers, “every customer is important,” said Keri Schade, owner of Simply Charming, a coffee and gift shop on Main Street. 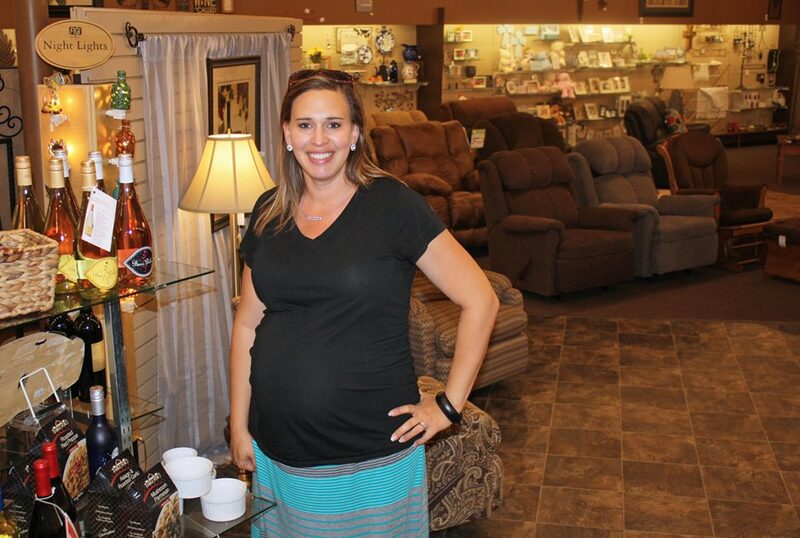 “Whether they come in and they spend $5 on a drink, or they come in and they spend $500 on furniture, you treat them all the same, because they’re all important” to the success of a local business. Schade, who grew up in Redfield and married her high school sweetheart, purchased Simply Charming with her sister-in-law three years ago. “I loved this place,” she said. “I came here all the time” for coffee and shopping. The retail choices at Simply Charming have changed, but Schade and her former business partner kept the popular coffee recipes from the previous owner. Just down the street, Simon and Heidi Appel are trying new things at County Seat, the furniture and home décor business they bought last year. 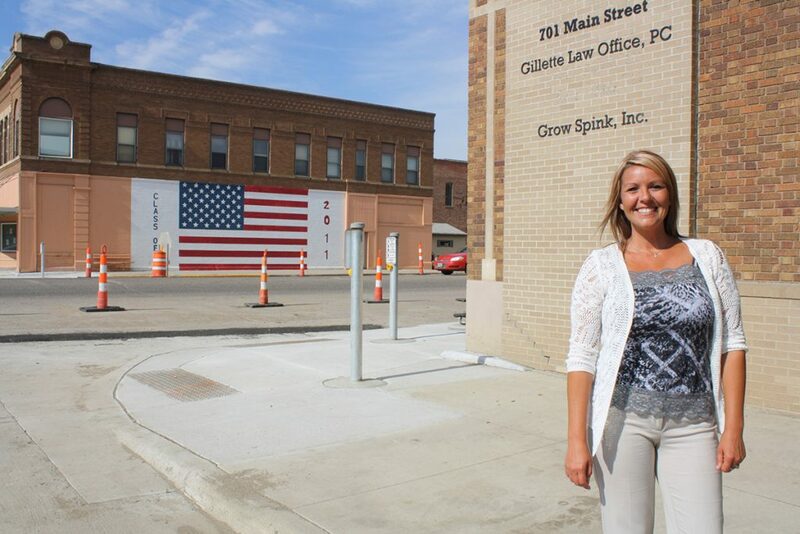 “Business in a small town can be tricky,” said Heidi Appel, who also serves as Redfield’s parks and recreation director. “Your customer base is small … people only need (furniture and home décor) so often.” They also provide gift items such as candy or wine baskets that might be purchased more frequently. Appel said locals can be too willing to shop out of town or online, not realizing the same things often can be purchased from friends and neighbors for the same price or better. This summer, County Seat opened a wine bar, to fill what the Appels saw as a need in the community. “We do have a few bars and restaurants in town, but nothing that would fit into the scope of your clientele for a wine bar,” Heidi Appel said of the “cozy” space they created in the back of their store. Also this summer, a new restaurant near the Highway 212-281 junction opened, after a man working at the local ethanol plant noticed a vacant restaurant building adjacent to the parking lot of the Super 8 where he was staying. That man, Atanacio Nieto, originally from Mexico, called a couple of friends, and suggested the trio open an authentic Mexican restaurant in the building originally used as a Pizza Hut. Juan “Carlos” Jasso drove from Kansas the following day, and the decision was made. Soon, eight other Hispanic friends moved to town, and together they run La Cabana, which sees heavy traffic—particularly on weekends—from all over the area. RADC helped the entrepreneurs obtain necessary funding for their business, while GSI helped the newcomers—whose primary language is Spanish—set up their equipment, comply with regulations and get their food license. Zens said the organizations were quick to help bring the business—and its people—to town, because both were a perfect fit. “I felt a passion from them, and I knew they were going to work hard and make it happen,” Zens said. Some residents had felt for years that the community needed something different. And Jasso said Redfield is a good fit for his crew. “Bigger towns are more expensive—the rent, the equipment,” he said. Each October, Redfield—like much of South Dakota—is flooded with a sea of orange. The Redfield area is known as “the pheasant capital of the world” due to being home of the first successful release of the Chinese ringneck pheasant in 1908. Zens said the area boasts more hunting lodges than she can count. 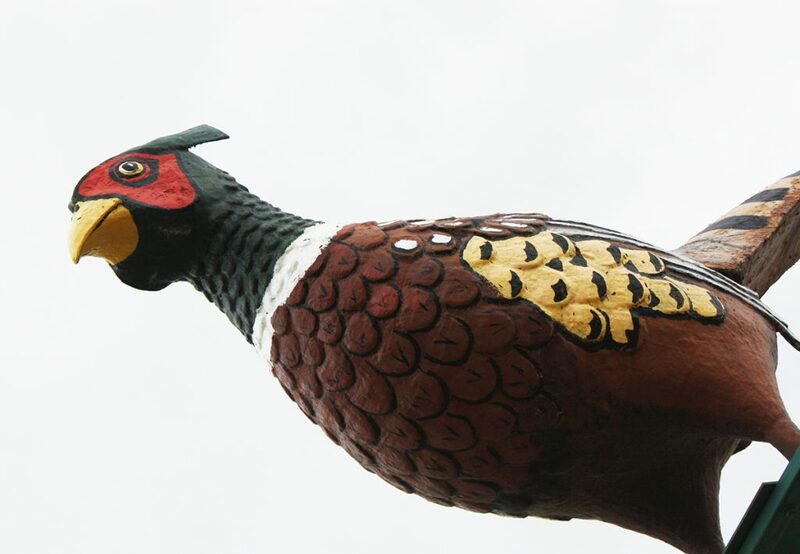 The town is dotted with homages to the birds, including a large pheasant atop a sign pole in front of the local volunteer fire department, the school mascot, and various business names. 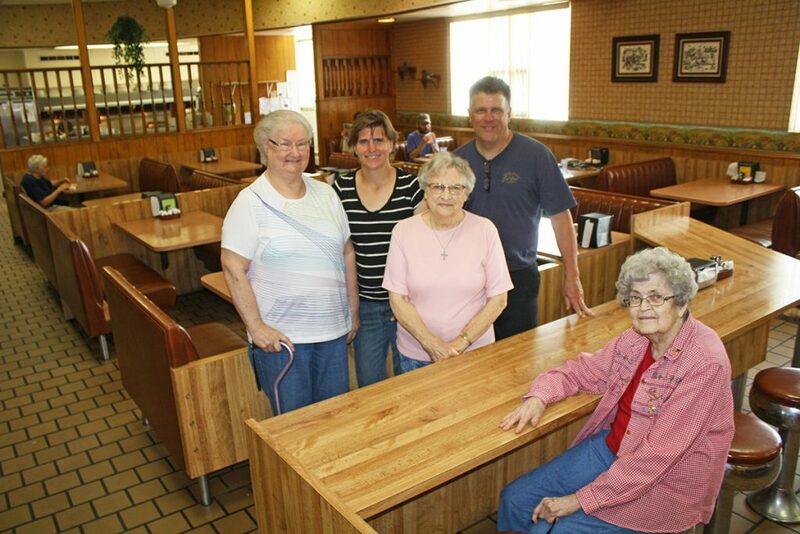 One family is working hard to keep a local icon up and running. 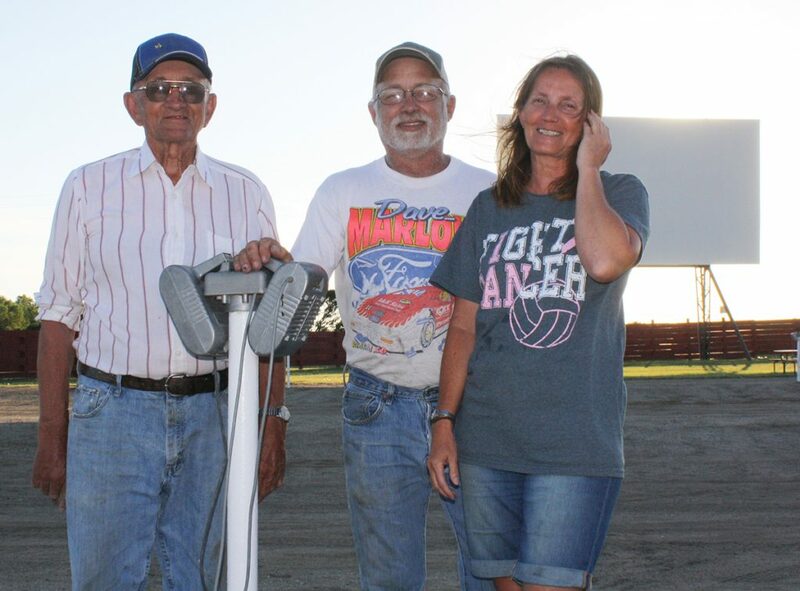 The Davis family—Clark and Rosa Davis; their daughter, Stacey Marlow, and Stacey’s husband, David—purchased the 60-year-old Pheasant City Drive-In Theatre in 2014. “We didn’t want our town to lose it,” said Stacey Marlow of the still-busy drive-in, one of just six left in the state. “We get a nice draw out of Aberdeen and (area) towns,” said Clark Davis, who helped paint the theater’s first movie screen in 1953 and often was in the audience in the theater’s first decade. A lot has changed in the way that movies are delivered to those who park their cars on the 10-acre lot, however. When they purchased the theater, the family immediately invested $70,000 into a digital projector system, in order to be able to show the most recent releaseson the movie screen that runs adjacent to Highway 281, one mile north of Redfield. Some weekends, the lot is packed with cars—1,000 paying customers (those ages 11 and up) and 1,000 child guests saw the Minion movie over the course of four showings one weekend—and others, attendance is lower. It all depends on the movie, Marlow said, but children and family features tend to bring in larger audiences to the theater each summer. Another tradition continues in town at Leo’s Good Food, which boasts “good food you can bank on” from a building that housed a bank until the restaurant moved there in 1983. The restaurant’s evening salad bar is served in the main vault from the former bank. Karen Gall’s parents, Bill and Janette Noyes, started the business with its namesake across the street from the current location in 1964. Janette, who still routinely plays cards at the café, perfected the pie recipes, and Shirley Jungwirth, who worked for the restaurant since its opening, is “retired” but continues to work there two days a week. “She’s been here longer than I’ve been alive,” said Gall with a smile. Jungwirth isn’t the only thing that’s stuck with Leo’s for over a half-century. “I have the same people waiting for me to open the door every morning,” said Gall, who moved home from stints in Phoenix and Vegas to offer her children a quieter life closer to family. Gall now owns Leo’s with her brother, Lee Noyes. So, what keeps them coming back? Next: Quiz: How much do you know about … VOTING?